There are several mini challenges to help amp up the fun, explore new authors and genres and spread your reading sails. A to Z Challenge: Challenge yourself to read books alphabetically by Title and/or by Author or both. Have fun searching out those difficult letters. Well Educated Mind: Continuing exploring the classics in 5 categories: Fiction, Autobiography, History/Politics, Drama and Poetry. Susan Wise Bauer's 2015 revised version includes a new category of Science to explore. All the challenges and readalongs are optional. Mix it up anyway you like. Hello! Do I get it right that it's necessary to follow the monthly themes to participate in the 52 Weeks 52 books challenge? Or are they independent challenges? In the first case it wouldn't be for me because I already planned the entire reading year and don't wish to turn everything upside down again... Thanks for an answer! Hi Edith. No, it is not necessary to follow any of the themes or readalongs. They are all there for inspiration. You can read whatever you want so no worries. So you can join us and follow your plan. I look forward to hearing about your reads. Awesome and welcome to 52 Books. I'm definitely in on the Dusty Mini challenge! I have many books gathering e-dust on my Kindle app. Great! Never thought about our ebooks gathering e-dust. Thanks to Kindle and other resources, it is hard not to download interesting books and then take years to read it. 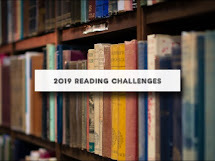 Welcome to the challenge and best wishes for a happy new reading year! Hi Zeynep, Delighted to have you join in. Happy New Year! Not a daily reader at all, and decided that this challenge was exactly what I needed to change that. Not going for any of the mini challenges as this is only my first year doing it, but next year I will most certainly try some out. Welcome and glad you decided to jump in. Yes, better to get back in the habit, rather than trying to do lots of mini challenges. Enjoy! I'm in. I am going to use The Well Educated Mind list altered some, to fit my interests. Yay! Welcome and I look forward to hearing about your reads.